Manchester City host rival Manchester United on Sunday in a battle of two teams that are six places and nine points apart in the EPL standings – and that shows in the odds for this one. It's Derby time! It might not carry the same level of intrigue as years past, but the twice annual Manchester Derby is still one of the most hotly anticipated matchups of the English Premier League season. Whether you’re a seasoned soccer bettor or taking your first kick at the footy odds, our in-depth previews and betting predictions will help you turn a profit on the pitch. It might not carry the same level of intrigue as years past, but the twice annual Manchester Derby is still one of the most hotly anticipated matchups of the English Premier League season. 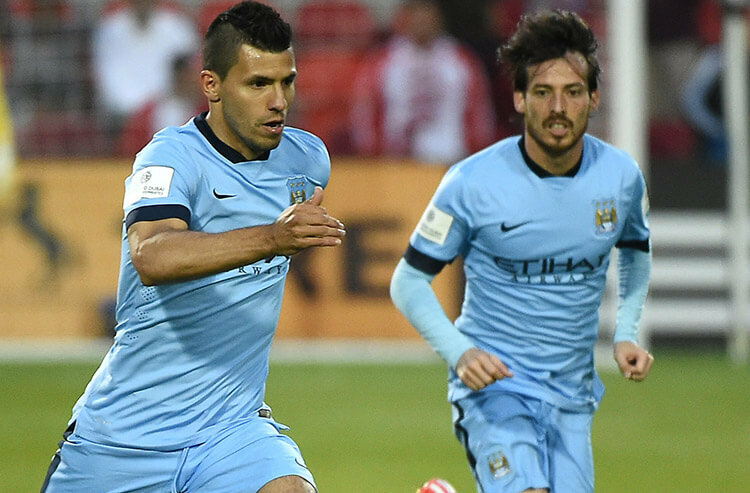 Manchester City host rival Manchester United on Sunday in a battle of two teams that are six places and nine points apart in the EPL standings – and that shows in the odds for this one, with table-leading City a hefty -250 favorite over seventh-place United (+800). But things are starting to turn around for the visitors, who have taken 10 of a possible 12 points out of their previous four league matches. AC Milan have been on a tear of late – but that hot streak will meet the ultimate test Sunday as the fourth-place club hosts table-leading Juventus in Serie A action. AC Milan have won each of their previous three league matches – scoring a combined six goals in the process – but are +320 underdogs against visiting Juventus (-120), who have 10 wins and a draw in their first 11 league matches this season and have won each of the past five meetings in the head-to-head series. And Juve have been dominant of late, outscoring AC Milan 9-1 in their previous three encounters. 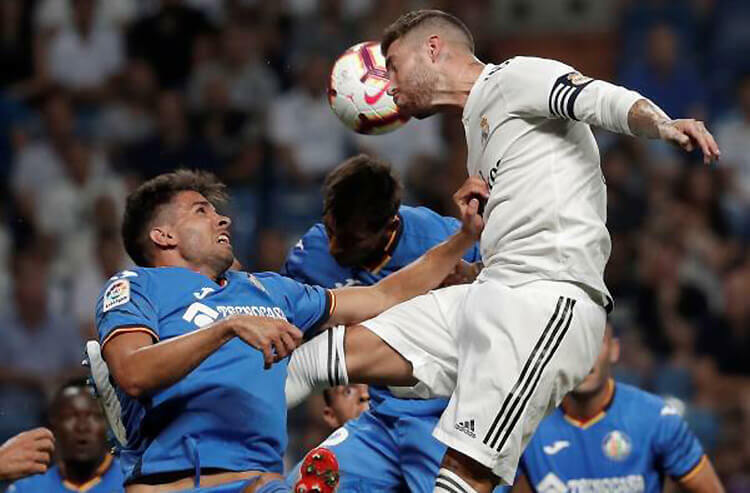 There's a surprise team sitting second in the La Liga standings – and Espanyol would love nothing more than to solidify their claim to the runner-up spot as they visit third-place Sevilla on Sunday. The teams are separated by a single point in the race for second place, with Espanyol (+375) off to a blistering start after finishing 11th in the standings a season ago. 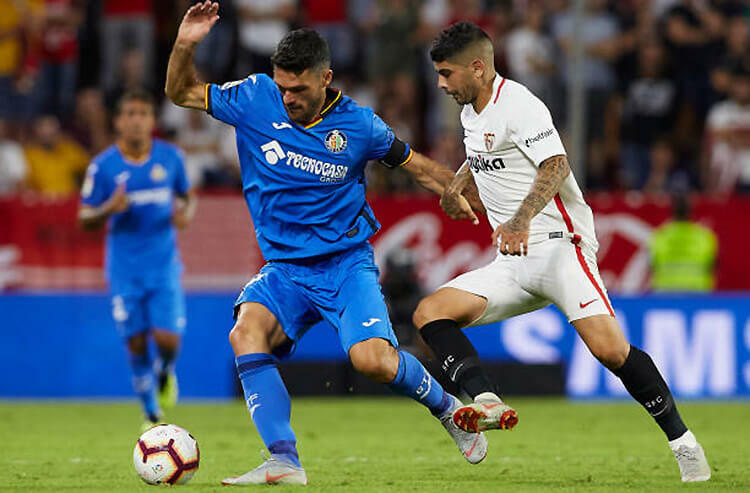 But Sunday presents a significant challenge in Sevilla (-143), who have just four points over their previous three league matches but have two wins and a draw in their previous four meetings with Espanyol. The top two teams in the Bundesliga will go toe-to-toe Saturday as Borussia Dortmund entertain Bayern Munich. The hosts (+210) are slight underdogs here despite holding a four-point lead over Bayern (+115) and Borussia Monchengladbach atop the German League table. Bayern's slow start continued last week with a 1-1 draw vs. visiting Freiburg, dropping the defending champions to 2-2-2 over their last six league matches. But they doubtlessly have a psychological edge in this one, having won their past three meetings with Dortmund – including a 6-0 waxing in their last encounter. You can forgive fans and bettors for believing they already know what will happen when Tottenham face off against host Crystal Palace this Saturday at Selhurst Park. Spurs have been tied at half-time but prevailed at full-time in each of the last four meetings; a Draw-Tottenham double Saturday pays out at +375. It could be a long Saturday for the Clarets. Burnley haven't been able to stop anyone of late, having conceded four or more goals in three straight matches heading into their weekend encounter with host Leicester City. The 2015-16 league champions are listed at +200 to score three or more goals, and +550 to convert more than three times. Expect Sunday's AC Milan-Juventus tussle to feature plenty of scoring, with the hosts having converted the over in seven straight home games and visiting Juventus tied for the Serie A lead in goals (24). Yet, despite the teams having combined for 45 goals in league play, bettors are getting a reasonable -110 on the over-2.5 play. Chievo are still looking for their first win of the Italian League season – and they haven't even been competitive in recent matches, having lost at half-time and full-time in each of their previous four games. They host struggling Bologna on Sunday, with the visitor half-time/full-time double paying at +333. Entertainment value has been hard to come by when Real Valladolid and Eibar square off, as they will on Saturday. The teams have combined for just two goals in their past two meetings, and six in their past six encounters dating back to 2004. The under-2.5 play is worth -163, while the under-1.5 option is listed at +200. Wanda Metropolitano has been exceedingly difficult on visiting teams of late, with Atletico Madrid coming into Saturday's showdown with Athletic Bilbao having recorded clean sheets in each of their previous three Serie A home matches. Atletico are installed at -163 to post a fourth consecutive shutout this weekend. Stuttgart will look to recommit to solid defense this weekend against host Nuernburg, having surrendered three or more goals in each of their previous four Bundesliga matches. Nuernberg are an intriguing +120 option to score more than two goals in Saturday's game, and are +400 to strike three or more times. No domestic team has been stingier than Leipzig, which enters Saturday's Bundesliga tilt with visiting Bayer Leverkusen having kept opponents off the scoreboard in four consecutive league matches; they haven't allowed a goal in league play since Sept. 29. Oddsmakers have Leipzig installed at +240 to extend their shutout streak this weekend. More injury trouble for Barcelona, who announced that Philippe Coutinho will miss the next few weeks recovering from a left thigh injury. It's a major blow for a Barca team already having to do without injured mega-star Lionel Messi. But Barcelona are still comfortable -550 favorites for this weekend's showdown with visiting Real Betis (+1,200). Tottenham are preparing to be without Mousa Dembele yet again. The veteran midfielder suffered ankle ligament damage last weekend and will likely be out of action until the new year. Dembele already missed a month earlier this season for Tottenham, who are listed at -134 to prevail this weekend vs. Crystal Palace (+375).